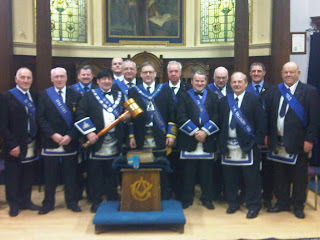 John Hutton and his office bearers. 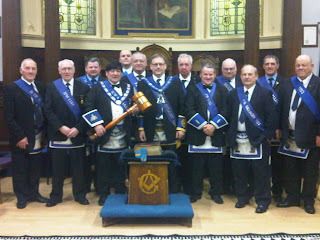 RWM James MacDonald's Final meeting. Special meeting Thursday 5th May. 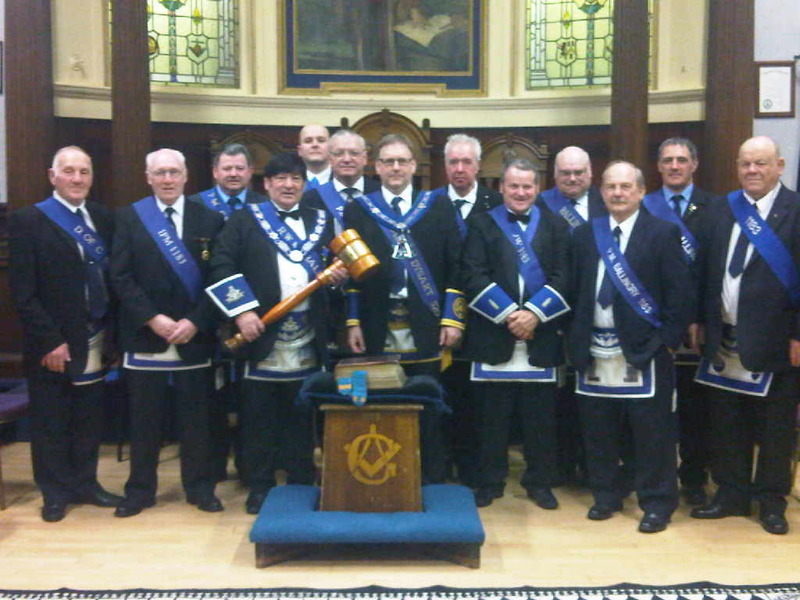 On Thursday 24 March where an Initiation degree was confered there was a very fine delegation from Lodge Ballingry 1183 wishing to claim the Travelling Gavel. Following some good natured banter between the respective RWMs the presentation was conducted after the meeting. On the completion of the handover all the brethern then retired to sample some of Lodge St Clair hospitality. Thursday 31st March 7.30 prompt. Degree RAISING to be worked by PM Henry Fleetham and a team of PM's from various Lodges. Visitors welcome come early to make sure you get a seat it may be busy. TICKETS AVAILABLE CONTACT WSW Jason Watson. 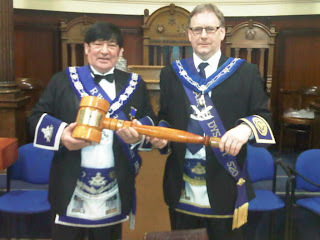 Degree for Lodge Stanley 1262 on Wednesday 2nd of March. myself or RWM or WSW. ON SATURDAY 12TH MARCH AT 6.00 PM.